You have to go back to the summer of 2015 to understand the predicament. Then Milan president Silvio Berlusconi and his CEO Adriano Galliani laid out a project in front of former coach Carlo Ancelotti. Ancelotti deliberated, or respectfully pretended to, and said no. Milan ended up with Sinisa Mihajlovic as coach, who did not make the impact that his tenure at Sampdoria had promised. 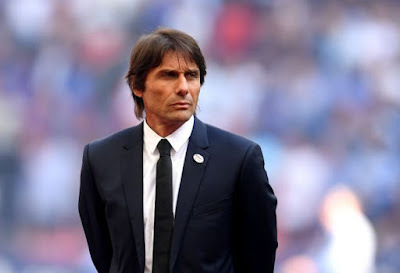 More than three years later, after a string of disappointing results, seemingly everyone around Milan is asking the question, "why don't we hire a big coach like Antonio Conte." But they are likely to be disappointed like they were in 2015. The fans who want Conte in place of current Milan coach and former club legend, Gennaro Gattuso, live in a parallel universe in which a) Conte would want to come coach Milan currently and b) UEFA's Financial Fair Play rules don't exist. To land a big name you need to have the ability to pay both for the name and the players he wants, when he wants. Not when you break even or reach the promised land of financial bliss. The January market will be telling and decisive. In my view, we’ll see Milan's financial restrictions laid bare. "When we bought Paqueta, UEFA sent us a warning letter," said Milan DS Leonardo today. "It will be a market of opportunities." The road is still long, in other words. The timing is unfortunate. Juventus resurrected themselves post-Calciopoli when FFP was basically a rumour. PSG/Manchester City when it was yet to be refined. Milan have filed an appeal to TAS (the Court of Arbitration in Lausanne that also overturned their Europa League ban) against UEFA's verdict for breaching FFP rules. The club's owners Elliott are litigious, bullish, but it depends how much they want to push UEFA. Milan have two options: 1) flout the rules and litigate 2) fall in line and shrewdly move on the market. In these circumstances, a coach like Conte will never come. He started his career at Arezzo and has subsequently coached Juventus, Chelsea, and Italy; he doesn't need to cut his teeth anymore. Until a Conte becomes a realistic target, Milan will stick to company men like Gattuso. They don’t ask for much, first of all. They also have the backing of the fans for a decent amount of time. If they manage results all the better. If they don’t, you look around and see alternatives like Roberto Donadoni, and hesitate. Rightly. Gattuso isn't Milan's best bet; he is practically Milan's only one. It's clear that apart from the coaching names being circulated in fantasy land, any other coach would simply be a lateral move--and in some cases worse. "Gattuso is not under discussion, even if he knows we expect more," Paolo Maldini said today. If there were viable alternatives, I, too, would replace Gattuso. But not with, with all due respect, Francesco Guidolin or Paulo Sousa. That failed attempt to land Ancelotti in 2015 is precisely the issue still: Milan needs a big-time coach but can't attract one. Until it can, it is best to support who we have. Forza Milan! 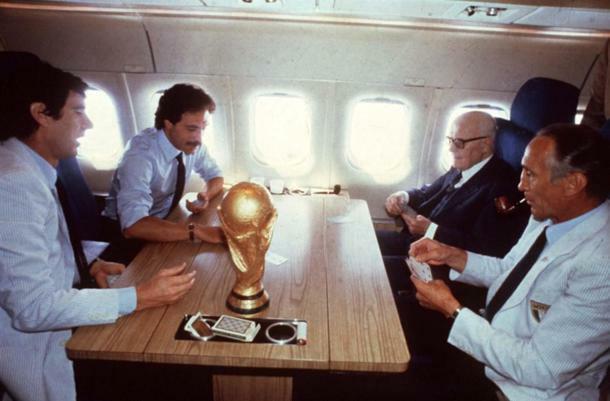 "Dino Zoff behaved like an amateur," former PM Silvio Berlusconi said of the former coach after Italy's soul-crushing Euro2000 Final defeat to France. "He left Zinedine Zidane completely open." The word dilettante (amateur) stung Zoff so much so that he resigned as coach a few days later, saying that he didn't need to "take lessons in dignity from Berlusconi." He needn't have taken footballing lessons from the man either. Zidane was cancelled out by an excellent Italy. The goal came in the last few seconds of the game when French goalkeeper Fabian Barthes launched a hopeful ball that bounced off Fabio Cannavaro's head and into the path of Sylvain Wiltord, who put it past Francesco Toldo from a tight angle. Either Berlusconi didn't watch the game, or he felt compelled to say anything, something, to be part of the conversation. Throughout his Milan presidency, Berlusconi offered unsolicited advice to his coaches and players, some so ludicrous that you could almost hear the journalists chuckling when asking the various Milan coaches their opinion of the president's umpteenth formation advice. It wasn't as if Berlusconi was always wrong, and it wasn't as if he didn't deserve any deference. But it was the timing, the simplicity, the, well, amateur nature of his advice that at once rankled and amused. Why does this matter after eighteen years? Well, Italy's deputy PM, Matteo Salvini, once an ally of Berlusconi, is, unfortunately, a Milan fan. He has no formal association with the team, but he airs his opinions on it and Milan coach, Gennaro Gattuso, seemingly every week. The final straw seemed to have arrived after Milan's ultimately valuable 1-1 draw with Lazio in Rome. "Why didn't Gattuso make substitutions?" asked Salvini. "You could see our players were spent." Lazio's equalizer came in the 94th minute. Salvini's opinion in the 96th. It was the kind of facile criticism that the twitterati subsist on. Gattuso finally had had enough. "As an Italian I could say a lot to Salvini and all the problems in our country," he said. "This isn't the first time, he seems to talk about Milan a lot." 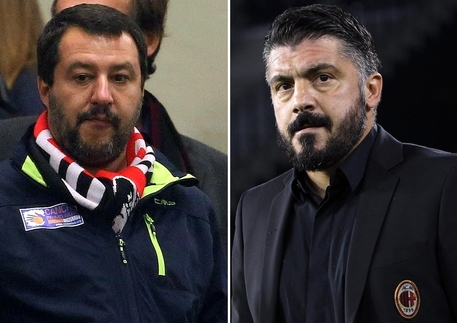 Salvini retreated, and praised Gattuso, saying "he had only spoken as a fan." The self-deprecation arrived too late. Political figures weighing in on sporting matters isn't peculiar to Italy, but the significance given to them in the media is rarer to find in other countries. Salvini's and Berlusconi's comments are a provocation, an overreach. Would Salvini tolerate a public figure like Gattuso giving a potentially unflattering verdict of his leadership? Given Salvini's tendencies in general, I'd hazard a guess that he would not. What irritates the common fan who suffers with the team, who agonizes over formations is not that Salvini or Berlusconi gives their opinion; it's more that those opinions are crude and unsophisticated. The ordinary fan expects something extraordinary. In short, something more than what an amateur could manage. If you don't look hard enough, you may miss it. But it's there. Palpable. Even empirical. In a year during which the Italian national team failed to qualify for the World Cup, the Italian league flourishes, providing spectacle and competitiveness. The numbers support the talk of resurgence. For a brief twenty-four hours last week, Serie A overtook the Premier League in the UEFA ranking to sit in second behind Spain. The lead evaporated when Lazio lost to Eintracht Frankfurt the next day, but the gauntlet for now matters more than the math. Inter had dispatched Tottenham on the first matchday, and, on the second, Napoli nibbled at Liverpool until they made a hole big enough for Lorenzo Insigne to flit through in the last minute and score. Liverpool defender Virgil van Dijk described it as the only deserved result for his club so far this season. Coach Jurgen Klopp concurred. But results and ranking can be fleeting. Serie A still has a self-esteem problem, a kind of weird inferiority complex, where foreign is good, and domestic bad. Nowhere is this more evident than how quickly commentators and fans berate up-and-coming youngsters for mistakes. Foibles quickly become character flaws in Serie A; a misstep a pathology. The journey from predestinato (predestined) to sopravvalutato (overrated) can be brutally swift. To emerge from this crucible the way Cutrone and Donnarumma have is a Herculean task. France Football released the Kopa Trophy list of the ten best players under the age of twenty-one yesterday, and three players from Serie A are on it, making it the most well-represented league. The presence of Roma's Justin Kluivert is noteworthy, but not as remarkable as the fact that Milan are the only club to contribute more than one player: goalkeeper Gianluigi Donnarumma and striker Patrick Cutrone. Donnarumma is 19 and Cutrone 20. 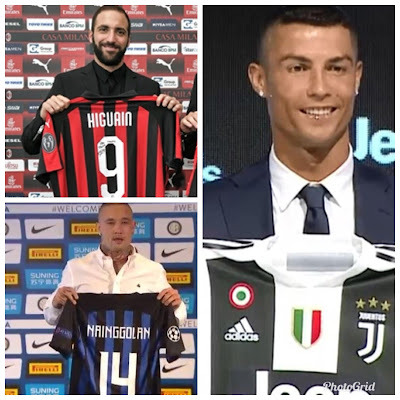 Both have risen to stardom in front of an exacting San Siro public, and both are emblematic of former president Silvio Berlusconi's credo liberally quoted and requoted at the tail-end of his reign as club president--a Milan, young and Italian. Now, it would be an absolute scandal if France's and PSG's Kylian Mbappe didn't win in December. He will, of course, but the presence of Cutrone and Donnarumma is a rejoinder to critics both in Italy and abroad. Cutrone is averaging an astonishing 0.40 goals per game--higher than Lionel Messi and Cristiano Ronaldo managed at the same age. Donnarumma has already inherited the number 1 spot from Gianluigi Buffon for the Italian national team. Both players commit errors. 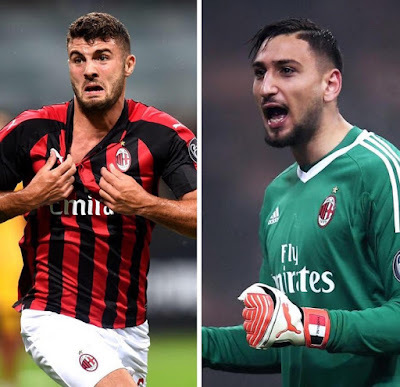 Donnarumma can be clumsy when playing the ball with his feet; Cutrone can sometimes take the wrong option in front of goal. But these nominations remind us that growing pains and pure quality are not mutually exclusive, and we need to have a more nuanced and layered understanding of player development. Despite of all the refinement he lacked on the field, Milan coach Gennaro Gattuso has treated the fragile egos and psychology of both players expertly, standing sentinel between the media and his charges. Cutrone and Donnarumma are not his inventions, but they are his and Italian football's patrimonio (heritage). They are here, and they should be loved, protected, and, yes, celebrated. The name was almost whispered at first. Cristiano Ronaldo. One source reported it, and then slowly others started falling in line. It was possible. Ronaldo could play for Juventus. Somehow, the directors would shuffle salaries and players around to bring from Madrid the most recognizable and marketable athlete in any sport to Turin. When Ronaldo finally did arrive at the Allianz Stadium, bronze from the Greek sun, a model of sartorial perfection, to face the media, you knew this was big. You always did, but he made absolutely sure. "I am not like other players my age," the 33-year-old Ronaldo said, and the body fat level test later confirmed. "Many in my stage of their career go to China or somewhere else to play." Ronaldo chose Italy after unparalleled success in Spain. This isn't a player on the wane, a superstar who wants to ease himself into a life of poolside indolence. No, Ronaldo wants to win in Italy, Juventus, and Serie A. It is a coup for the league. That's how non-Juventus fans consoled themselves, but it's true. Ronaldo's arrival raises the bar. For everyone. For his teammate Paulo Dybala. For the league's top defenders like Roma's Kostas Manolas and Milan's Alessio Romagnoli. Even for Frosinone defender Emanuele Terranova, against whom Ronaldo will be facing off 80 kms outside of Rome at least once this upcoming season. I have enjoyed experts on EPL-centric panels trying to figure out how it all happened. Why Juventus? Why Italy? How can it be that Ronaldo spurned the chance to go back to Manchester United? I love it. I love hate-watching the parochialism, the toe-curling comments from so-called experts who still think Roma fluked a semifinal appearance in the Champions League. It warms my heart. If they had been paying attention the signs of Italy's ascent have been there. During the 2014-15 season, the more thoughtful English journalists took note of Juventus's run to the Champions League Final, of the huge success of Italian clubs in the Europa League. In the past few years, Napoli's fluent play has made an impact to the extent that Maurizio Sarri is now coach of Chelsea. It's a paradox that while EPL partisans dismiss if not bash Italian football, the top English clubs yearn for Italian coaches. Ranieri, Ancelotti, Conte, Allegri are all coaches that EPL teams have either employed or have come very close to employing. Fine, you must be a numbers person. Look at the UEFA coefficient ranking for countries--Serie A has surpassed the Bundesliga and is closing in on England, who sit uncomfortably in second place. Ronaldo's arrival is a culmination of the "good things" that Serie A has been doing, a living,breathing, grinning exclamation point, a player that could finally help Juventus take that one final step and win the Champions League. Juventus fans claim the signing as their own, and so they should. It is a testament to Juventus's superb business acumen and vision that Ronaldo was ever possible. To outsiders, the Portuguese star's signing is the only thing worth talking about this summer in Serie A. But Milan, Inter and Napoli have all been at work as well. Napoli brought in Carlo Ancelotti as coach after Sarri left to Chelsea. 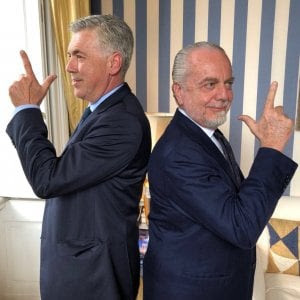 A Champions League winning coach, Ancelotti is a star signing; Napoli owner Aurelio De Laurentiis will be even more smug next year. among others to bolster their midfield, and who are rumoured to be after Real Madrid's Luka Modric. Yes, you read that right--Modric. Milan have woken up from the nightmare of their Chinese ownership and now have former player Leonardo and former legend Paolo Maldini in the management. Oh, and the best striker in the league, Gonzalo Higuain, will lead the attack. He came in alongside Mattia Caldara in a swap deal that saw Leonardo Bonucci return to Juventus. To ratchet up the nostalgia, Higuain and Caldara waved to the fans from a balcony in the Piazza Duomo in Milan. To me, it recalled Milan's signing of Alessandro Nesta in 2002, or Ronaldo's presentation at Inter in 1997. Other clubs have been making the headlines as well. Parma have returned to Serie A after fighting off their second bankruptcy. Not romantic enough to have one of the sette sorelle (the seven sisters of Italian football, Milan, Juventus, Inter, Roma, Lazio, Fiorentina, Napoli, and Parma) back in Serie A? Consider that defender Alessandro Lucarelli, 41, stuck with the club through the trials of Serie D and administration, retiring just this past season. A little further south, newly promoted Frosinone will play in their newly built stadium, Stadio Benito Stirpe, and, at the time of writing, Lazio and Fiorentina have managed to keep hold of their star players like Ciro Immobile and Federico Chiesa. It has been a glorious summer in Italy. It is almost as if the league decided to compensate for the national team's failure to qualify for the World Cup. A lot is happening apart from Ronaldo. This will be the most exciting Serie A season in a long, long time. If you're tired of the familiar villainy of Manchester United coach Jose Mourinho, the same old faces that he pulls in press conferences, the painfully false modesty of Manchester city coach Pep Guardiola, the duopoly of Real Madrid and Barcelona in Spain, the predictability of a Bayern Munich triumph in Germany, give Serie A a try. Sure, Juventus have won the last seven Scudetti, but Serie A was the only top league that still had more than one team fighting for the championship two rounds from the end last year (Napoli and Juventus). This year, it feels maybe, despite Ronaldo, Juventus's hegemony just may be at risk. You can whisper it for now, and let's see if it becomes reality. So, after twenty years, France are champions of the world again, and Croatia have played in their first Final. What's not to be happy about? Well, the handball decision on Ivan Perisic for one, but let's put that aside for now. I have enjoyed this absorbing World Cup, but throughout its course I have also looked for refuge in memories of past Italian campaigns. It's a coping mechanism, an attempt to find a footing in the discourse and the events so inexorably not about the team I support. But is it harmless to retire every now and then from a reality that is unfolding without you, that is indifferent to your yearnings? The refuge of nostalgia is a tenuous one, a dangerous one, a hovel always on the brink of collapse. Tomorrow will mark twenty-four years since Roberto Baggio skied the decisive penalty against Brazil in the World Cup Final. It was, at that time, a moment that reduced me to tears. 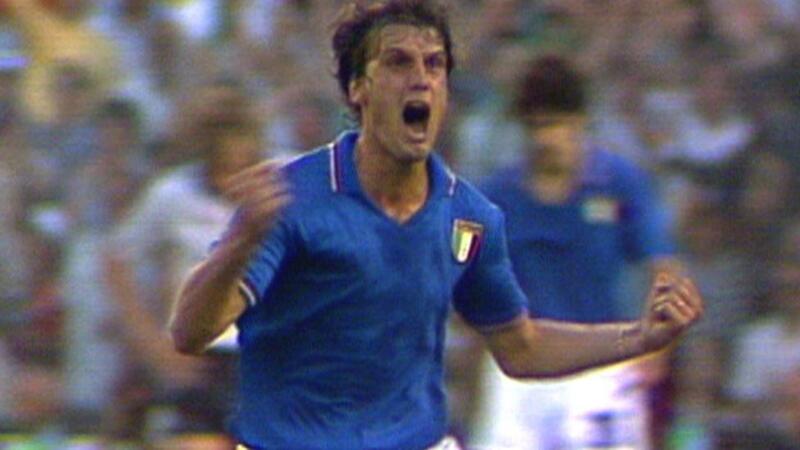 Now, it 's a memory that marks in my mind not Italian defeat, but supremacy dashed only by bad luck. It was only penalties that kept Italy from beating Brazil on that sweltering Pasadena day. I can explain that defeat away, identify it as a comforting counterpoint to what is the current state of Gli Azzurri. A World Cup has just finished without Italy in it, a World Cup that was by any standard one of the most compelling ones in recent memory. What value does nostalgia have in the face of this sneering, teeth-baring reality? I would argue that it's placebo more than antidote, a vial of pills that comes without direction and takes you in no particular one either. You cast your mind back to glory, linger for a moment, only to be jolted back to face reality: Kylian Mbappe and not Patrick Cutrone, Paul Pogba and not Marco Verratti. The French football system has won in Russia, and the Italian system was only to be found in faint traces, in the boots of Croats like Marcelo Brozovic of Inter and Mario Mandzukic of Juventus. Clairefontaine has outstripped Coverciano: that should be the tearful point of departure from which coach Roberto Mancini can begin to fashion the raw material at his disposal to something approaching an Italian team worthy of the name. 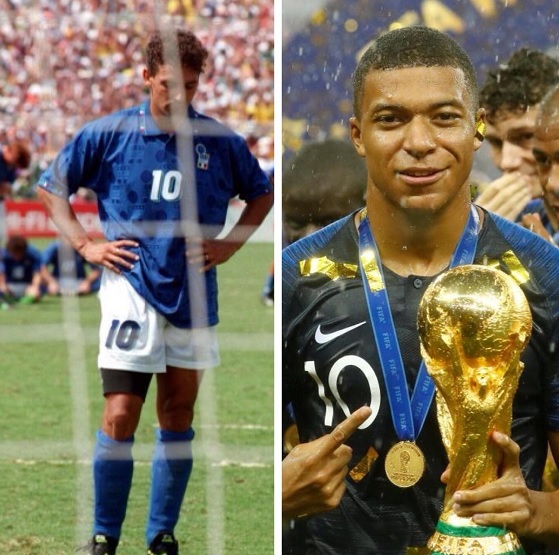 France has now played five major finals in the last twenty years, winning three of them. Italy has played three in that same period, winning just one. 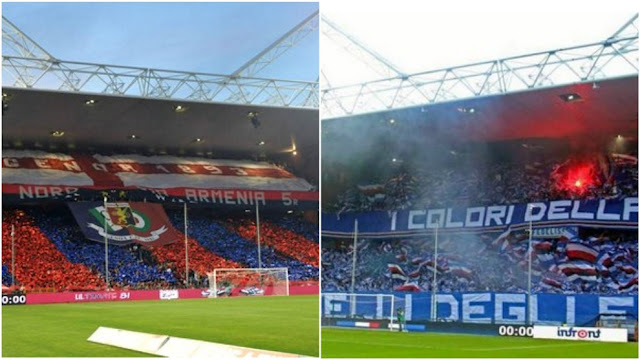 These two nations are not poles apart, but the question at the heart of all of this is what qualities will Italian football rely on to compensate for a lack of an outstanding generation? In February of this year, Juventus defender Giorgio Chiellini accused former Barcelona and current Manchester City coach Pep Guardiola of ruining Italian football because all Italian coaches try to imitate him. It was a stretch, but he was broadly correct. It has come to the point where Napoli are content with being considered Barcelona-lite, the ones who pass the ball around beautifully only to lose valiantly. France have turned the page because they can. They have the quality. But consider that only when they played with Olivier Giroud up front this World Cup were they able to strike a balance, so that other more talented individuals on their team could express themselves. It was a tweak, a ploy that coach Didier Deschamps persisted with after the first group game despite Giroud managing zero shots on target all tournament. Deschamps didn't solve the lack of output with more quality, but less. It is this ability to flirt with paradox that Italian football lacks currently, an ability it cheerfully flaunted in the past. On the eve of Euro2000, everyone lamented the lack of quality Italy had. They reached the Final. Similarly, the 2006 team was arguably less equipped than the 2002 one, but they won the World Cup with Palermo's Fabio Grosso (who? casual fans asked at the time) winning the semi-final and converting that penalty in the Final. I take Chiellini's point. Imitation of others is not the way ahead, but neither is trying to imitate a past version of yourself. Former coach Antonio Conte worked with the constraints of the current generation and brought Italy to the cusp of qualifying for the Euro2016 semi-finals. We can look back longingly to the blurry-edged Azzurri memories, but this French generation agitated against precisely that. As Andrew Hussey writes in the Guardian, they didn't want middle-aged white males telling them about the 1998 victory anymore. They wanted their own memories; to create their own experiences. So did Croatia. Their defender Dejan Lovren said that this Croatia team can eclipse the vaunted one of 1998 that reached the semi-finals--and they did. Nostalgia can at once motivate and paralyze. It can clarify and distort. In a world where politicians and pundits profit from people's selective memories, from vignettes about how things used to be before these people arrived, nostalgia should be handled responsibly. I sign off, then, with a Forza Azzurri! and a Andiamo avanti! Let's Go Azzurri! We go ahead! We must.